Skip the brunch crowds and loud restaurants this year in favor of a quiet, warm breakfast in bed! It might be a little cliché, but there’s a reason why every Mother’s Day movie features breakfast in bed (after all, it combines the two best things — eating and relaxing!). If you’re looking to start Mother’s Day off on the right side of the bed, these are all the ingredients you’ll need for the perfect morning. “Breakfast in bed” without the “breakfast” is just a nap, so the first (and most important) thing you’ll need is a tasty breakfast. Even though it’s the thought that counts, no woman wants to be eating cereal or microwaved pancakes on Mother’s Day, so make sure she’s getting the best of the best! If you’re realizing now that you’ve never really cooked anything before (other than your famous buttered pasta) or that the kids will probably be running around all morning, then let us do the dirty work for you. With this chalkboard brunch set, you’ll find all the ingredients and baked goods you’ll need to make everything from eggs benedict to premium English muffins in no time. Does your wife have a sweet tooth? 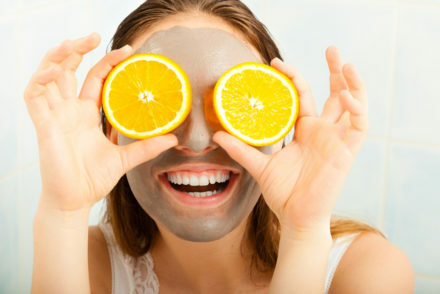 Cookies and pastries may not be a typical breakfast food, but today it’s all about the pampering! Expertly crafted in our bakery, our Mother’s Day assorted cookie basket comes complete with everything from buttercream frosted cookies to decadent bro. If she prefers something a little lighter, go with fresh fruit! This succulent pear gift set and this fruit-filled teapot arrangement, make perfect sweet treats for mom to enjoy! It’s Mother’s Day, which means it’s okay to throw caution to the wind just a little. Since it’s her special day, try your hand at mixology and whip her up something fun. Waking up to a fizzy fruit sangria or Bloody Mary on the nightstand is certainly a great way to start the day. If your wife isn’t much of a drinker, there are still plenty of fun drinks you can make her that aren’t her typical morning orange juice. Grab some of her favorite fruits and try making her a signature fruit smoothie. Now that she’s enjoyed something new and refreshing, make sure you also have her favorite tea or coffee waiting nearby — after all, she probably has an activity filled day ahead of her! 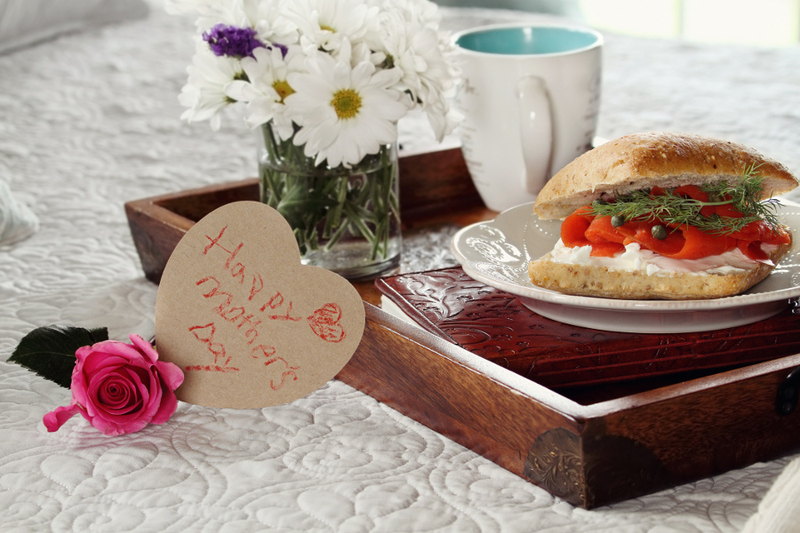 You’ve got the perfect breakfast, delicious snacks, and a handmade cocktail, time to take it to mom, right? Nope! Don’t forget to set the mood. Having a decadent breakfast in bed is already pretty luxurious, but you still need to add those extra special touches. A bouquet of flowers as the centerpiece will surely make her smile that much wider. And don’t forget, the most important part of this day is spending time with mom. Whatever you plan, all that really matters is that you are all spending quality time together and enjoying the day!